Cindy Sundheim who was fishing with her husband Scott caught this nice 22-pound chinook salmon out of Fort Peck Reservoir on Tuesday! 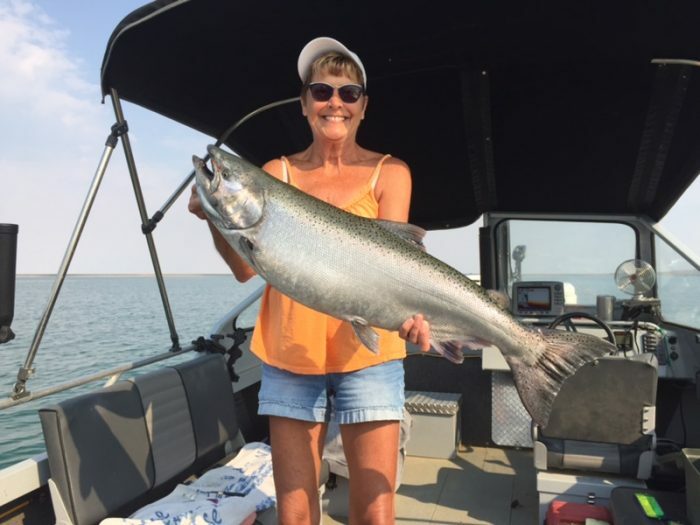 It was Cindy’s first 22-pound salmon. She caught it trolling 110 feet deep with a white flasher and brads bait mountain doo cut bait.